Delivered by MARS Electric, the smallest home appliance manufacturer in the world, to all the gadget geeks of the world. Mars Electric was founded in May of 2012 with the goal to become the smallest and most unique home appliance manufacturer in the world. We'll keep creating funky gadgets that big manufacturers may not be brave enough to try. To all gadget fans, we much appreciate your support! 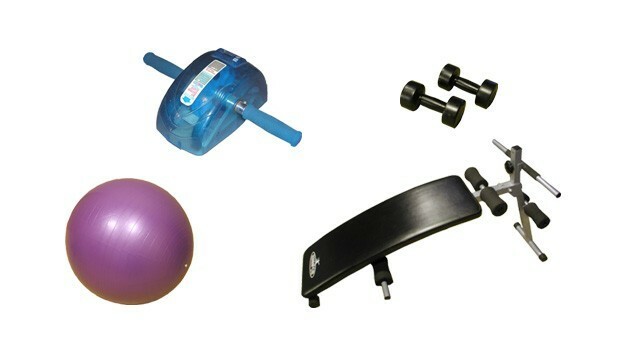 Want to keep working out? Keeping record is the key! Many people try dieting and working out only to find themselves quitting after a week or month. One of the most effective way to continue dieting is to continue weighing yourself regularly. Seems to be the key to stay in a work-out habit. 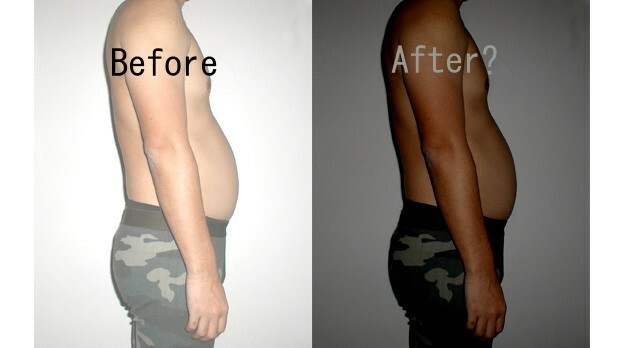 That's why we invented a device that records abdominal muscle work-out for those of you who wish to have flat stomachs. 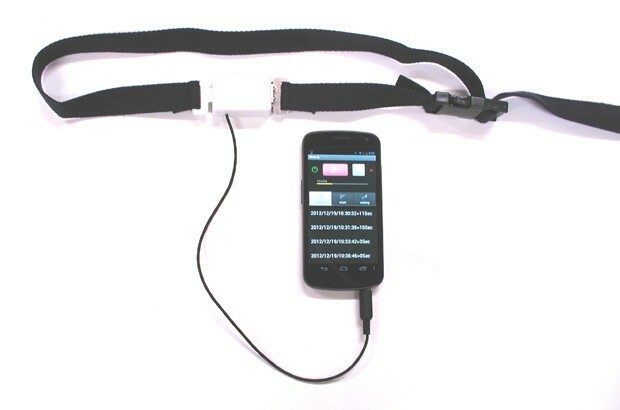 Abstrap is a belt connectable to a smartphone. It has a censor that turns on when there's a pull on the belt. 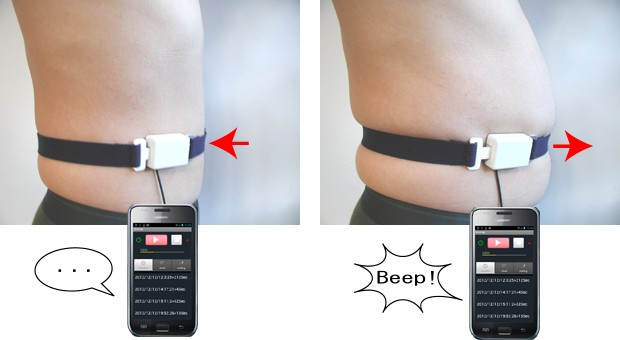 You can put it on while pulling in your belly muscles, and whenever you let it loose, the censor turns on and lets you know by making your phone vibrate with beeps. 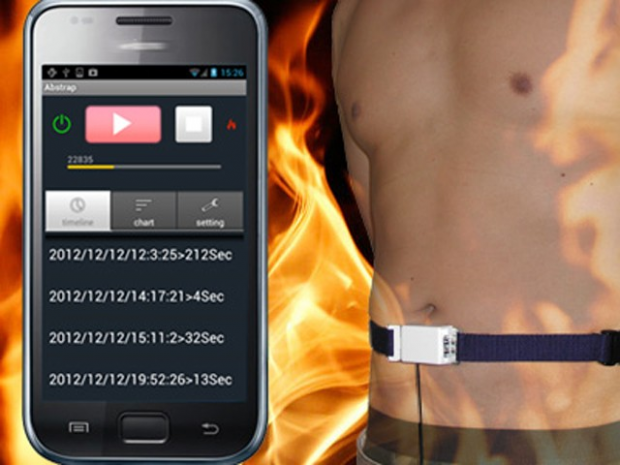 The device also records when and how much you worked your abs and creates a chart. The prototype has been already completed and is working great. We're currently working on the smartphone apps. The Android app is almost done, and the iPhone one is in progress. Once they're released, apps can be downloaded for free. Witness the power of Abstrap! I'll post daily updates on how Abstraps changes my own abs! Will I get the dream body with Abstrap? Smartphone models vary greatly, and it's hard to make a device that works for every model out there. 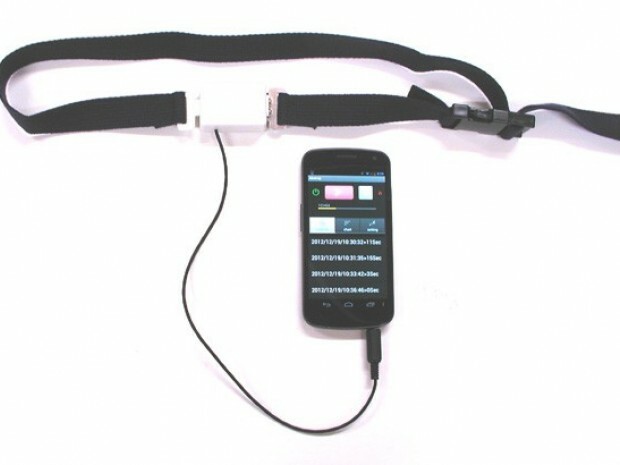 To reduce the risk, we developed audio jack interface for Abstrap so the device can be used with most smartphone models with an audio jack. -Some smartphones do not have an audio jack. Please make sure your phone has one (3.5 mm 4 pole). -To make sure Abstrap is compatible with your phone, please let us know the model and name of your phone before purchasing rewards. -Since Abstrap connects to the audio jack, you cannot use earphones and microphone while using the device. 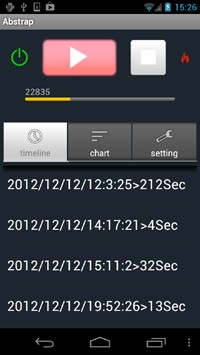 For smartphone developers we will release the app source code and API of Abstrap. You can apply it to create different types of devices such as security alarms that send out emails when the censor turns on. Mars Electric is a venture company that manufactures and sells small-lot products. We aspire to be "the smallest and most unique appliance manufacturer in the world." We'll continue to deliver unique and interesting made-in-Japan gadgets to the world. 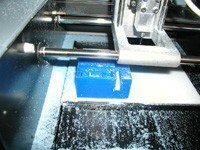 The pre mass production model will be delivered a month or two earlier than the regular model. All the specifications are the same, for a cheaper price. We'd appreciate it if you could email us and let us know how you like the way it operates. If any change is made to the specifications later on, we will replace it with a regular, mass production model. A smartphone is not included. Please use your own. A smartphone is not included. Includes 3 mass production models. 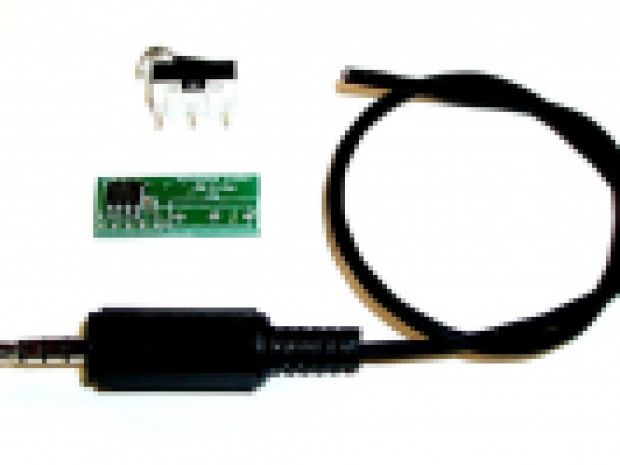 10 sets of Abstrap parts that include PCB, 4-pole audio cable, and censor switch (the cable and switch are not soldered to PCB). Housing and belt are not included. We'll also attach the terminals layouts. 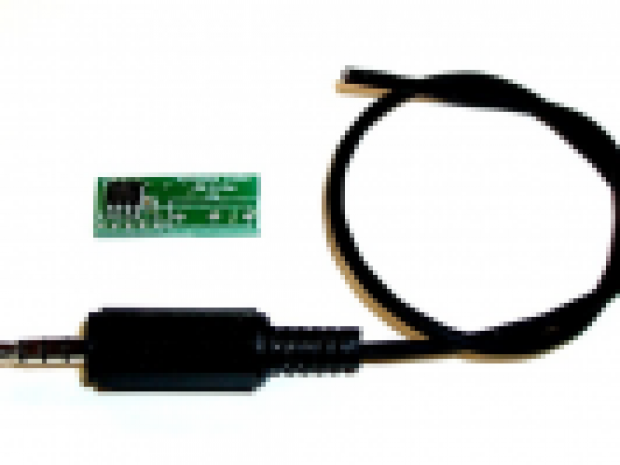 50 sets of Abstrap parts that include PCB, 4-pole audio cable, and censor switch (the cable and switch are not soldered to PCB). Housing and belt are not included. We'll also attach the terminals layouts. Smartphones are not attached to the product. A smartphones is not included. We're a venture company located in Chiba, Japan, that designs and manufactures electronic devices. 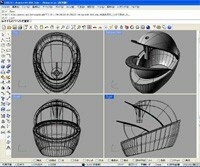 We specialize in smarphone hardware and small biped robots, but we can really create most anything. In charge of the management and production. Cat owner. 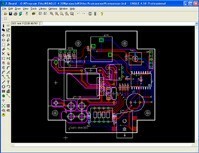 In charge of design and engineering. Also runs a manufacturer for robot parts called AsakusaGiken Co., LTD. Author of three books on robots and robot engineering.